Perfect Keto has launched a keto calculator that will let you calculate your keto macros in minutes. The Keto Calculator will help you find the exact amount of carbs, fat, and protein you need to reach your goal weight through the ketogenic diet, whether you want to lose, gain, or maintain your weight. Coffee if drunk in moderation has a lot of health benefits. A study by Alberto Ascherio, a professor of nutrition and epidemiology, concluded that people who drank 4 or 5 cups of coffee on a daily basis drastically reduced their risk of getting Parkinson’s disease. Furthermore, C.H.S. 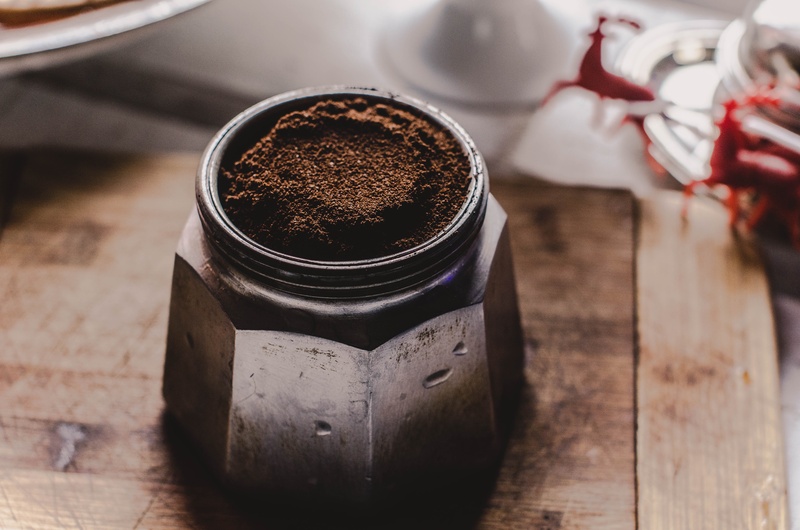 Ruxton of Lebanon carried out a double-blind, placebo-controlled study on the effect that caffeine has on cognitive function, mood, hydration, and performance. This study done over a period of 15 years found that there were significant improvements in all these parameters. But does coffee have a positive effect in the prevention of diabetes and bringing down high blood sugar levels? Let us examine this in more detail. What are the health benefits of drinking coffee? Coffee contains caffeine, a stimulant which is absorbed into your bloodstream and then travels to your brain. In your brain, the caffeine blocks Adenosine, which is an inhibitory neurotransmitter. Subsequently, neurotransmitters such as dopamine and norepinephrine increase which lead to an enhanced firing of neurons. The result is that various aspects of your brain function improve such as energy levels, memory and reaction times. Coffee is a great fitness and health booster if consumed before a workout. The caffeine in coffee helps to boost your metabolism. As a result, you end up burning more calories throughout the day. A shot of caffeine before your workout helps to improve your endurance and increase your performance. Drinking 2-3 cups of coffee an hour before your workout helps reduce muscle pain. Subsequently, you’ll be able to train much harder which will help to improve your muscle strength. Alzheimer’s disease is a neurodegenerative disease and is one of the leading causes of dementia. Though there is no cure for Alzheimer’s disease, studies have shown that regular coffee drinkers have a 65% lesser chance of developing this disease in the first place. What effect does drinking coffee have on your blood sugar levels? A study was carried out about the effects of coffee consumption over a period of 4 years in the US. The study concluded that the participants who increased consumption of coffee by more than 1 cup per day had an 11% lower risk of developing type 2 diabetes in comparison to those participants who did not make any changes in their daily coffee consumption. A study published in Diabetologia has shown that drinking coffee over the long term may reduce your risk of getting diabetes if you don’t have it in the first place. However, paradoxically, drinking coffee increases both your insulin and glucose levels. So, doctors advise that you should be cautious about consuming coffee if you already have diabetes. How can coffee lower the risk of developing diabetes even though it raises blood sugar? A report from Brown University Health Education concludes that coffee increases adrenaline levels. As a result, your blood sugar levels may rise for a short period. So, if you are already diabetic, you should reduce your coffee intake. Furthermore, as a diabetic patient, you should never have coffee with sweeteners of any kind as that can make your blood sugar levels jump up drastically. A study done on the effects of caffeine on 665 Japanese males was carried out in 2010 and concluded that regular coffee drinkers have a higher level of adiponectin, a protein which helps in regulation of blood sugar levels. Also, coffee is rich in antioxidants. These might influence your insulin and blood sugar levels positively. Drinking coffee for a long period may help your body build up a tolerance to caffeine. As a result, your body becomes more resistant to fluctuations in blood sugar levels. The bottom line is that drinking coffee can have different effects on various people. If you already have diabetes, then you should monitor your blood sugar levels regularly and see the effects of coffee consumption. In case you see that your blood sugar levels go up significantly, then opting for decaf coffee is a better option. Everyone knows that breakfast is the most important meal of the day, but did you know that what you eat is even more important then when you eat? There’s a stark contrast between gobbling up sugary carbs like pastries and cinnamon rolls and fueling your body with healthy low-carb, high fat foods that don’t trigger a damaging glucose and insulin response. The sugar industry, with its deep saccharine pockets has paid scientists since the 1960s to falsely shatter the link between sugar and heart disease or obesity, instead shifting the blame to the fat content of foods. This corrupt study shifted the scope of scientific research for decades, leading to the demonization of high-fat foods and promoting the sale and consumption of low-fat, high sugar, “empty calorie” sources of nutrition. These claims are completely baseless as eating a high-quality fat and restricted carbohydrate diet (which places the body in nutritional ketosis) is a proven effective way of treating diabetes and obesity. In ketosis, the body relies on alternate sources of energy to function efficiently through the natural production of “fuel molecules” called ketone bodies. With this diet, insulin sensitivity is improved tremendously (up to 75%!) and allows for some diabetics to either reduce or stop their medication regimen entirely. 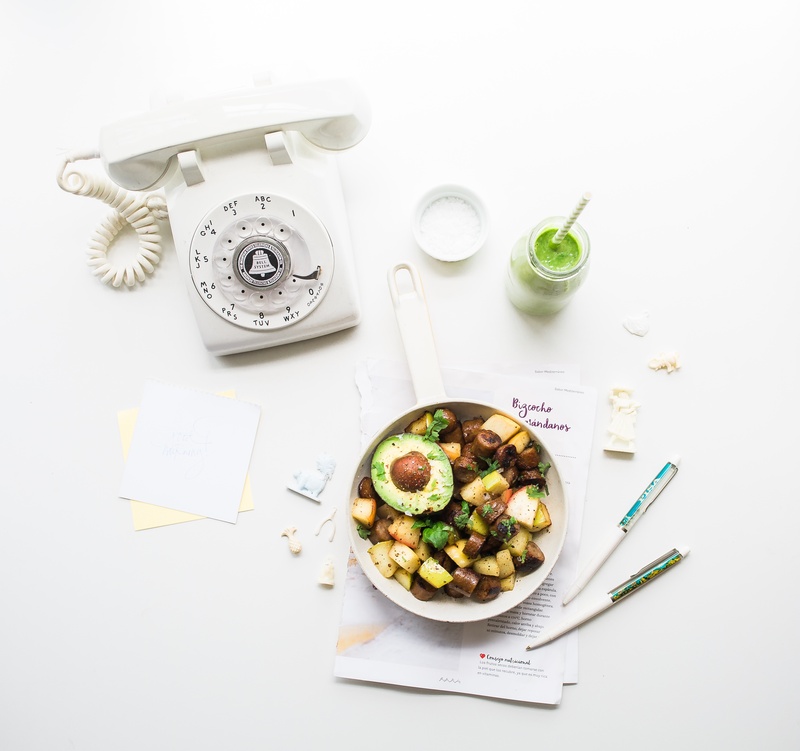 By starting your day with a ketogenic breakfast, you are providing your body with sustainable long-lasting fuel and are avoiding the crash that accompanies a sugary, carb-loaded meal. Avocado is an excellent source of natural fats and does not trigger an insulin response, making it an easily-accessible and commonly used ketogenic staple. Mashing and spreading it on Rye toast (complex carb) or halving it, pitting it and stuffing it with tuna chunks are two great ways to kick off your day. This creamy blend of curdled, cooked egg and natural sweeteners like stevia and butter give the sweet and grainy taste and texture of porridge without all of the empty carbohydrates. After whisking the eggs with the mixed-in sweeteners, heat on a stove top with melted butter until it thickens. Topped with a few pieces of fresh fruit, this naturally sweet treat will keep you full, while guilt-free. Put down the Frosted Flakes, because this vegan, low-carb, low calorie keto cereal alternative is great for any diet! Made by mixing butter, ½ cup shredded coconut, 2 cups of coconut milk, natural sweetener, a pinch of salt and crushed nuts, this tasty treat won’t send you running to the fridge soon after you finish. Enjoy lasting fullness with this sweet and nutty breakfast blend. Who said you can’t enjoy anything sweet on a keto diet? Forego the over-processed chocolate puffs that line the grocery shelves and grab some raw cacao nibs. Mix ½ cup of chia seeds, 1 cup of water, 4 tbs of hemp hearts, 1 tbs of fine psyllium powder, 2 tbs of melted coconut oil, 1 tbs of swerve and 2 tbs of raw cacao nibs until evenly separated and then flatten the dough on parchment-paper-lined oven sheets. After cooking on 285 degrees for 15 minutes (each side), cut the pieces into small squares and drop them in a bowl of almond/coconut milk. Enjoy! Fry ups aren’t gone forever once you go keto! You just have to choose some alternate ingredients, which are just as tasty and far more healthy. Things like avocado, bacon strips, coconut oil, scrambled eggs and butter are great fry-up blends that will curb your cravings when you’re hungry for a savory feast. The ketogenic diet is not synonymous with starvation or sacrifice, as it is incredibly easy to feel full and satiated with satisfied tastebuds while adopting a keto lifestyle. The incredible health benefits such as lowering your risk of heart disease and even “improving” your diabetes are rewards unto themselves. So put down the addicting sugar and carbs, and train your body to crave healthy, long-lasting fuel over fluff. Newly discovered documents show that the sugar industry paid scientists in the 1960s to shape the debate around heart disease, sugar and fat. Abstract: A novel hypothesis of obesity is suggested by consideration of diet-related inflammation and evolutionary medicine. The obese homeostatically guard their elevated weight. In rodent models of high-fat diet-induced obesity, leptin resistance is seen initially at vagal afferents, blunting the actions of satiety mediators, then centrally, with gastrointestinal bacterial-triggered SOCS3 signaling implicated. In humans, dietary fat and fructose elevate systemic lipopolysaccharide, while dietary glucose also strongly activates SOCS3 signaling. 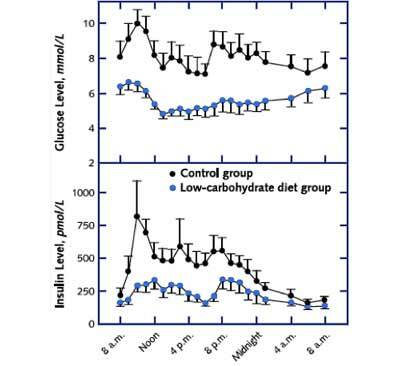 Crucially however, in humans, low-carbohydrate diets spontaneously decrease weight in a way that low-fat diets do not. Furthermore, nutrition transition patterns and the health of those still eating diverse ancestral diets with abundant food suggest that neither glycemic index, altered fat, nor carbohydrate intake can be intrinsic causes of obesity, and that human energy homeostasis functions well without Westernized foods containing flours, sugar, and refined fats. Due to being made up of cells, virtually all “ancestral foods” have markedly lower carbohydrate densities than flour- and sugar-containing foods, a property quite independent of glycemic index. Thus the “forgotten organ” of the gastrointestinal microbiota is a prime candidate to be influenced by evolutionarily unprecedented postprandial luminal carbohydrate concentrations. The present hypothesis suggests that in parallel with the bacterial effects of sugars on dental and periodontal health, acellular flours, sugars, and processed foods produce an inflammatory microbiota via the upper gastrointestinal tract, with fat able to effect a “double hit” by increasing systemic absorption of lipopolysaccharide. This model is consistent with a broad spectrum of reported dietary phenomena. A diet of grain-free whole foods with carbohydrate from cellular tubers, leaves, and fruits may produce a gastrointestinal microbiota consistent with our evolutionary condition, potentially explaining the exceptional macronutrient-independent metabolic health of non-Westernized populations, and the apparent efficacy of the modern “Paleolithic” diet on satiety and metabolism. In Part 1 of this Exclusive Interview, Dr. Lois Jovanovic discusses diabetes in utero: normalizing blood glucose during pregnancy. For years, assistance dogs have been used to detect low blood sugar levels in their diabetic owners and warn of an impending hypoglycemia attack. 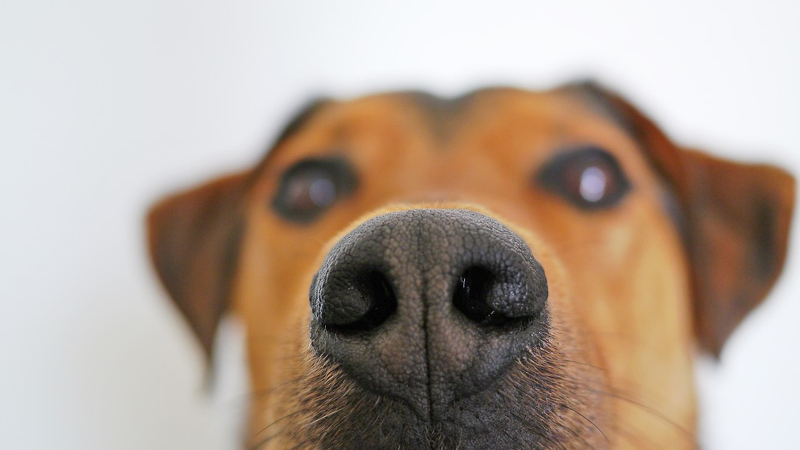 Scientists have finally figured out how dogs are able to accomplish this feat—an insight that could lead to new medical sensors.